Ergobaby Adapt Cool Air Mesh Baby Carrier allows you to be hands free around the house and during trips out with your little one. This baby carrier lets you carry your little one in comfort and style! Why should I choose Ergobaby Adapt Cool Air Mesh Baby Carrier? The Ergobaby Adapt Cool Air Mesh Baby Carrier not only lets you carry your baby from newborn to toddler, it needs no extra accessories to make it happen! This baby carrier is totally adjustable for your comfort whilst you stroll around. Additionally, the mesh material keeps baby cool and comfortable, as well as providing some ventilation for you, too. This Ergobaby carrier features crossable shoulder straps, which allows for an extra personalised fit. This means that you can choose whether you use it with the 'H' straps or the cross straps, which adds extra comfort for your journeys. 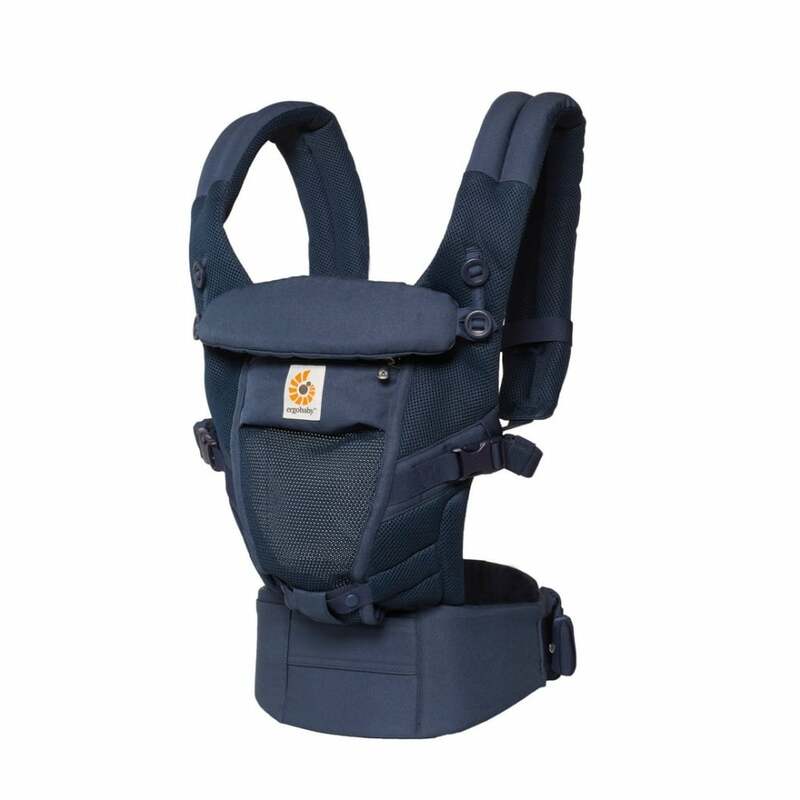 As well as this, the Ergobaby Adapt Cool Air Mesh Baby Carrier features lumbar support. So, if you're a mum or dad with an achy back or joints, strapping this baby carrier around you supports those sensitive areas. A baby privacy hood with a UPF of 50+ means that you can breastfeed whilst baby is in the carrier. Plus, if there is any inevitable milk spills, this Ergobaby carrier is completely machine washable. It's ergonomic in all positions, placing bubba in the recommended M shaped position. What's more, it's acknowledged as 'hip healthy' by the International Dip Dysplasia Institute. What are the specifications for my Ergobaby Adapt Cool Air Mesh Baby Carrier? Do I get a warranty with the Ergobaby Adapt Cool Air Mesh Baby Carrier?